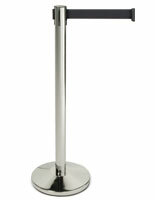 Filing and paying taxes isn't everyone's favorite activity, but alas, it is a fact of life. 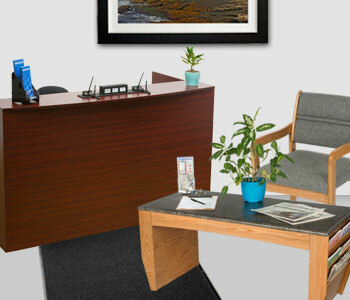 To make sure your tax office is ready to handle all your personal and corporate clients, use the right tax office supplies, like signs, furniture, and filing systems. 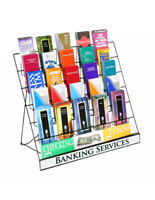 These displays for tax service businesses help keep accountants organized, so they can better serve customers. 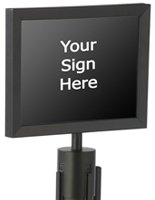 We've compiled a great selection of signage, fixtures, and furniture to outfit any tax filing office so take a look! 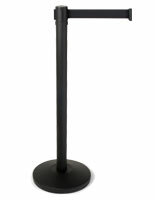 Taxes are complicated. 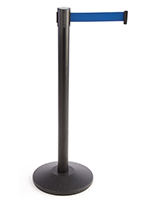 Even a simple tax return can have some unique caveats that make filing a real challenge. 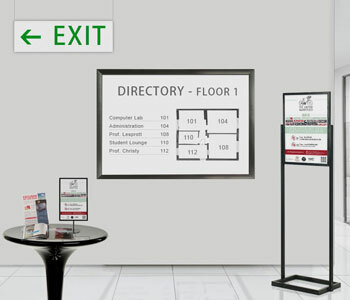 That's where tax professionals come in! 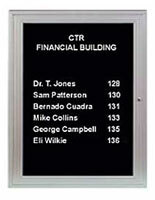 Accountants are very organized and detail-oriented, so it is no surprise that they keep their offices the same way. 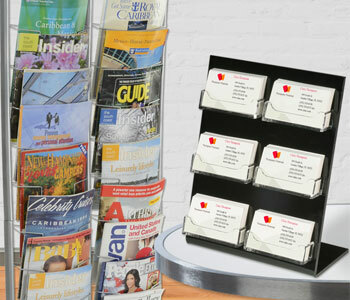 Categorizing paperwork, forms, and important documents is a difficult feat that any tax service business faces, but our wall filing systems and literature organizers will make all the difference. 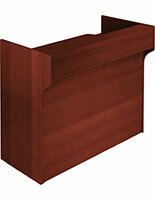 We carry a full line of vertical filing setups that can be used on traditional office walls or cubicles. 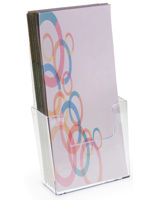 These file folder racks come in different sizes, so even those large, legal-sized documents can be accommodated. 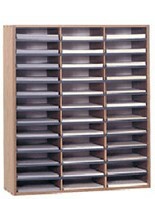 Add a plastic, wire, metal, or wood wall file to your tax business to make sure every form is in its proper place. 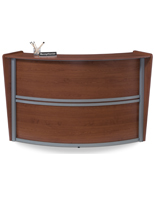 Tax office furniture is also available from Displays2go and ranges from large service & front desks to lobby chairs and coffee tables. 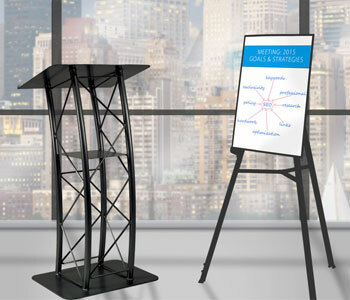 The right service desk will make a big difference to clients because they'll know exactly where to go to schedule appointments, check in, or ask for other assistance. 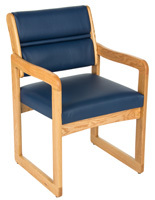 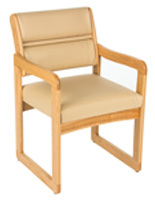 Our lobby furniture includes an assortment of comfortable chairs offered in several different colors. 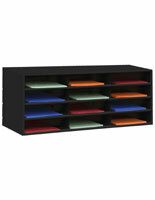 You'll also find coffee and end tables as well as magazine racks for tax offices. 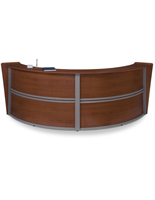 With all this reception area furniture, you can be sure that your clients will be comfortable and entertained while they wait to be helped. 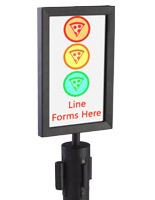 Long lines are a common problem at any service business, and this is definitely the case for accountants during tax season. 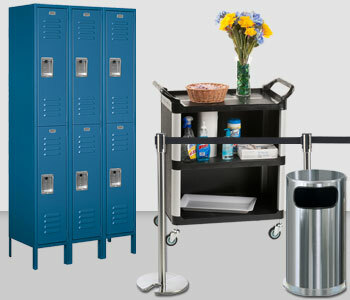 To keep lines orderly, set up a crowd control system. 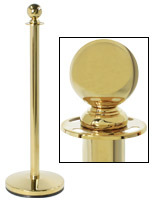 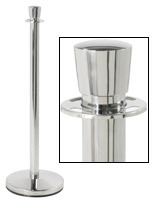 We offer both post & rope and retractable belt stanchions, so you can choose the design based on the tone of your office decor. 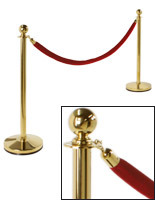 Post & rope models are typical for high-end establishments, whereas retractable crowd control posts are ideal for your average corner tax store. 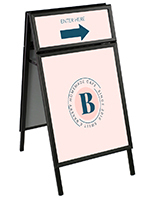 Once you've decided on the type of stanchions you need, go ahead and add some sign toppers with stock or custom messages to tell your clients exactly where to go and what to do. 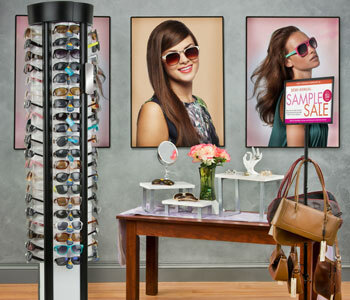 Remember: faster service = happier customers! 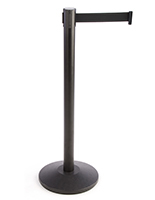 Usually customers will have some questions when they are being assisted at a tax service desk. 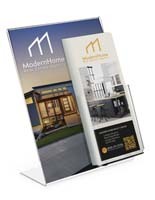 Every tax professional wants to answer all their clients questions as quickly and efficiently as possible, which is why so many tax service businesses have printed literature, like pamphlets and brochures. 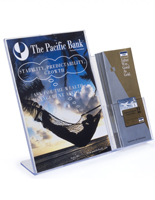 These slim publications often contain FAQs, terms & conditions, and pricing information. 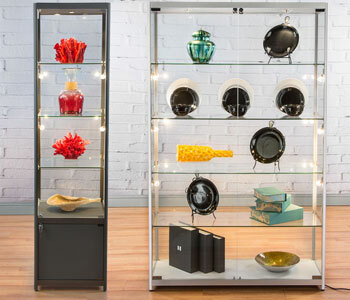 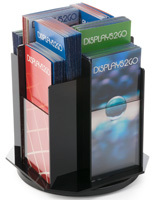 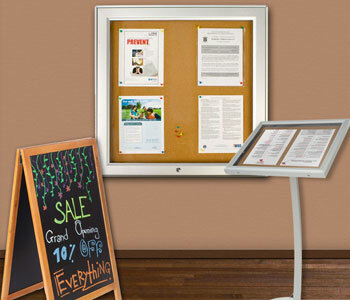 Displays2go offers a full selection of literature holders, from single acrylic brochure pockets for the countertop to floor stands and wall racks with tons of pamphlet slots, that are ideal for keeping tax service information neatly organized and easily accessible to clients. 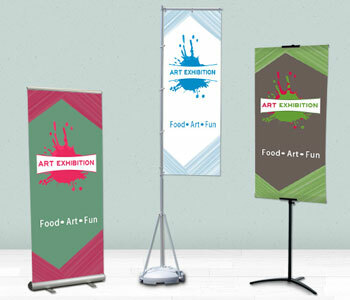 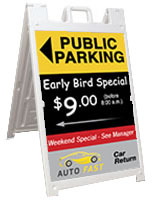 Tax signs, banners, and flags are some of the most important displays for generating new customers. 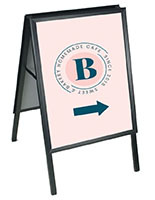 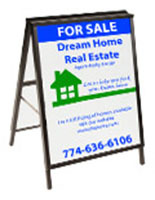 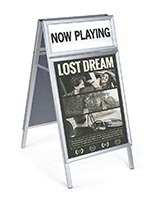 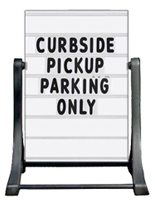 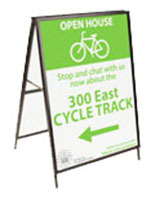 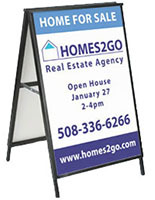 Placing outdoor sidewalk signs with custom promotional messages near your entrance is a great way to draw in clients. 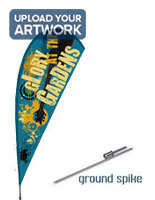 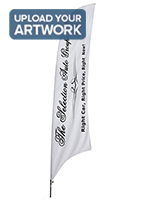 Likewise, large custom printed tax banners can be hung on the storefront to announce new products and availability. 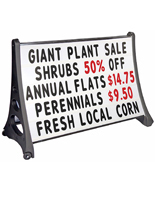 LED message signs, like light-up open signs, are great for any business. 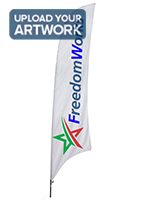 We even carry tax service flags that come pre-printed on the fabric, which are great for businesses with smaller budgets. 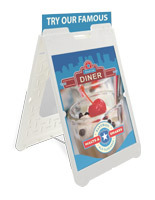 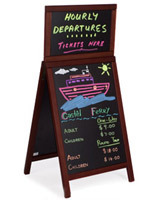 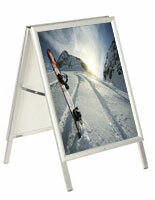 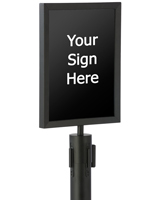 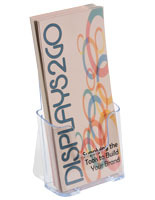 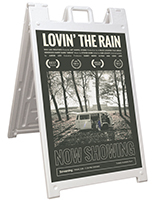 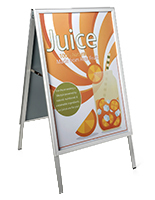 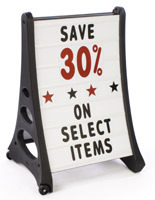 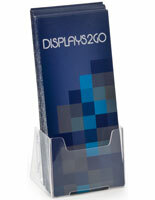 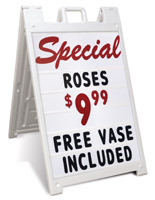 When it comes to tax signage, Displays2go has all kinds of stock and customizable solutions. 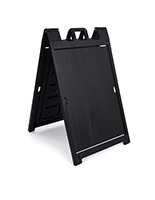 Of course every business also needs general site furnishings, like trash cans, janitorial carts, and entry mats. 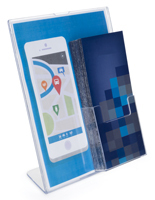 Your tax office will be fully equipped and ready for the rush with any of these fine business solutions from Displays2go.